Securely store and transport weapons of all sizes. 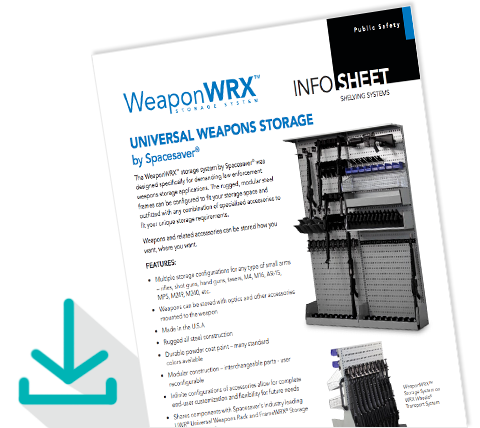 The WeaponWRX modular weapons storage system was designed for storing firearms and other military and public safety weapons and accessories. 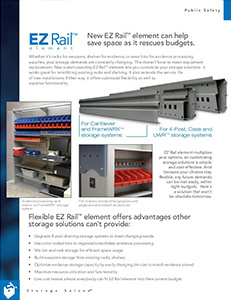 Configure the rugged, modular steel frames with a variety of components to accommodate rifles, pistols, and other weapons and gear. 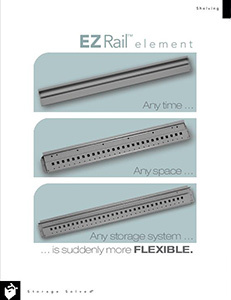 This open system can be mounted on a wall, installed in our Universal Weapons Rack, or installed on a cart. 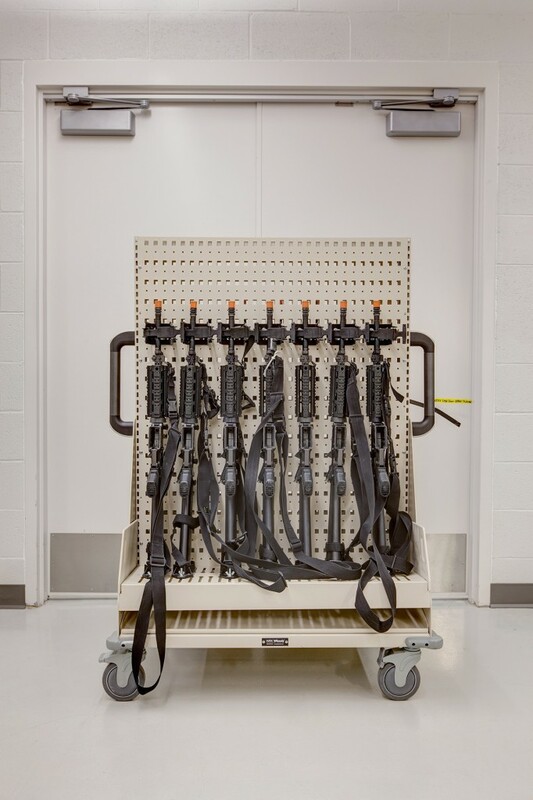 Components ensure that weapons can be stored with optics mounted for quick and easy deployment. Our nationwide network of authorized consultants can assist with project design, staff training in product use, and ongoing maintenance. 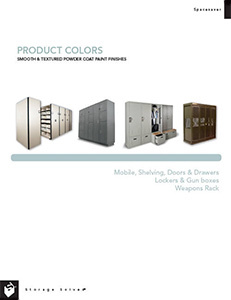 Let us help you store weapons and other accessories how you want and where you want. WeaponWRX rugged steel frames can be configured to fit your storage space and outfitted with any combination of specialized components to fit your unique storage requirements. 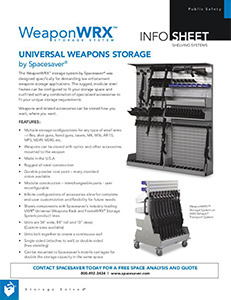 Learn more about our universal weapon storage systems, download the info sheet. 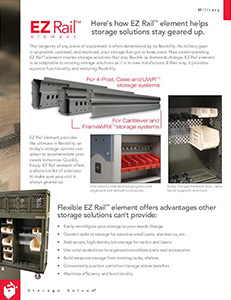 Multiple storage configurations for any type of small arms—rifles, shot guns, hand guns, tasers, M4, M16, AR-15, MP5, M249, M240, etc. The WeaponWRX 3″ Sloped Universal Base Shelf and Sloped Adjustable Universal Shelf are only available in 36″ Wide x 13″ Deep (nominal).